What Is Mortgage Protection Insurance? And Do You Need It? So you just closed on your mortgage and you’re beginning to settle into your new home (and your new loan). You’re assessing the many things that will need to be fixed and changed to make your house a home. Then you receive an urgent notice in the mail regarding something called “mortgage protection insurance” or MPI for short. Or maybe it’s referred to as mortgage payment protection insurance or mortgage life insurance protection. In any event, it looks pretty serious and your blood pressure rises instantly. The seemingly important document might have come in an official-looking envelope that bears some sort of message like “final notice,” despite being the first and only notice you’ve received. Once nervously opened, you’ll be presented with a sales pitch that includes a lot of personal information, such as your name, your lender’s name, loan amount, record date, and a form that you’re urged to complete and return as soon as possible. There’s also a good chance it’ll be printed on pink paper, which for some reason makes it all the more urgent. But what you might not know, or what the company trying to sell you the insurance might not make very clear, is that it’s an entirely optional third-party coverage, just like a home security system or a bottled water delivery service. Imagine if Sparkletts was sending you final notices to buy water…or a credit card issuer was saying it was your last chance to apply. That’s how absurd this whole thing is. As a new homeowner, your physical mailbox will be inundated with solicitations like these. The misleading and unfortunate part is that these particular letters tend to look really official. That’s part of the scare tactic. If you’re wondering how they got all your loan information, it’s via public records, not from your lender. Anyone can access that stuff. So don’t call your lender to complain (about this at least). In a nutshell, it’s a form of insurance that covers your mortgage payments or pays off your entire mortgage balance in the event something happens to you. It’s basically life insurance for your mortgage, though policies also include disability benefits so mortgage payments can still be paid in the event you can’t bring in a paycheck. The fear tactic being employed is ultimately not losing the beloved family home. Who would want that, right? Especially right after you bought the thing. You might be thinking, but I already pay mortgage insurance and homeowners insurance. What gives? Well, mortgage insurance protects lenders from borrower default, and homeowners insurance protects the home, which is also in the interest of your lender that probably owns the lion’s share of the property. Remember, if you take out a loan for 97% of its value, you own very little of the home. The bank is on the hook for a huge portion of it. Anyway, this insurance is simply another thing you can pay for to protect yourself in the event something bad happens to the borrower, or breadwinner, who is expected to pay the mortgage. It’s entirely optional, like most insurance, and may never actually provide any benefit, other than maybe peace of mind. If you speak to an insurance salesperson, they’ll likely recommend that you buy as much insurance as you can reasonably afford. If you speak to another individual, they’ll likely tell you that they’re not sure why they’ve been paying premiums for the past decade, but I digress. As with any other form of insurance, the cost of mortgage protection insurance will vary greatly based on the size of the loan and the type of person you are. For example, pricing will likely factor in your gender, age, health, and the level of protection you desire, similar to a life insurance policy. Just like standard term life insurance, the price of mortgage life insurance will vary with risk and the probability of paying out a claim, and what such a claim would cost the insurance company. Along with what such insurance provides. Pricing can obviously diverge dramatically from a $100,000 mortgage to a $1,000,000 mortgage, as the monthly payment will be quite different. In other words, monthly premiums can range from maybe $20 for a small loan amount and none of the extras, or $250 for a large mortgage with all the bells and whistles. But you’d really just need to shop around as you would any other type of insurance to get accurate pricing. Do You Actually Need Mortgage Protection Insurance? If you’ve made it this far, you might be wondering why you would elect to buy mortgage protection insurance if life insurance can accomplish the same thing (and possibly be much cheaper). Also, standard life insurance can put money into your loved ones’ pockets, not the lender’s pocket. The main reason individuals tend to buy MPI is because a physical exam may not be required. This is usually not the case with standard life insurance. So someone might think they can pull a fast one on the insurance company. Here’s the rub though – when you don’t verify stuff, such as income and assets on your mortgage application back in 2006, you wind up with a higher rate. That means the cost is already baked in, even if you qualify with less hoops. These are insurance basics, or perhaps typical gotchas. Aside from the higher cost, the other downside to mortgage protection insurance is that the money goes toward the mortgage. 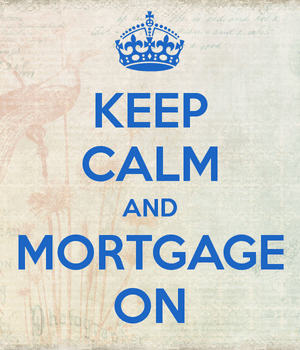 Remember, not everyone wants to pay off the mortgage in full or ahead of schedule. The survivors could have the means to keep making monthly payments and/or make other arrangements in the event the borrower passes. They might need the cash for other things, and prefer the money in their savings account instead to do with as they please. Additionally, if the mortgage life insurance policy simply pays off the mortgage, the benefit actually decreases over time with the smaller outstanding balance, unless the policy payout doesn’t change with the amortization of the loan. Of course, today’s policies seem to be more in line with term life insurance in that the proceeds can be used for just about anything. But that begs the question, again, why not just buy life insurance? In summary, mortgage protection insurance is generally just a more restrictive policy, which explains why it’s not a very popular one. Throw in the fear tactics and sketchy solicitation letters and you see why it’s not too common. As a homeowner, it’s important to have a financial plan in place in the event life throws you a curveball, but money management is equally important. You’ll find that a lot of interested parties will want a piece of the pie. Be careful not to exhaust your cash reserves for things you don’t really need.